Lucky Nugget Online Casino not only offers software that you can download to your computer, but also has a mobile software application for devices such as the Android, Blackberry and iPhone. If you enjoy playing Mermaids Millions online, then you can easily access this fun game on your mobile phone as well. The Lucky Nugget Mobile Casino website, designed for all makes of smartphones, provides games like mobile slots Mermaids Millions along with other much adored titles like Tomb Raider and a host of table games. When you play mobile slots Mermaids Millions through Lucky Nugget Mobile Casino, you have the opportunity to win a 3,500-coin jackpot prize. This five-reel, 15-payline game has an underwater theme and features symbols such as a giant clam, a seahorse, a jewelry box, a treasure chest, a mermaid and Neptune. The mermaid is the game's designated Scatter symbol and Neptune serves as the Wild symbol. In order to play Mermaids Millions, you need to make a wager, press the play button and watch to see which symbols appear across your paylines. 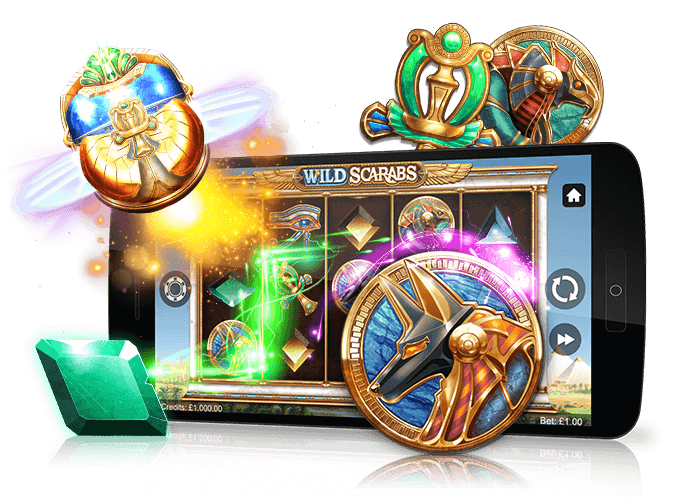 Depending on the combinations that hit, you can earn free spins, unlock a bonus game or access substantial earnings. As is the case with all Lucky Nugget Mobile Casino games, signing up to play mobile slots Mermaids Millions entitles you to several user-friendly features and lucrative bonus offers. New casino members are able to access a sign-up bonus and become eligible for discounts, promotions and prizes. Lucky Nugget also provides beginner Mermaids Millions players with the opportunity to practice on free mobile games before placing an initial bet. In addition, you are always able to securely access your online casino account through the use of your mobile device.